Sunday May 20 is a great day for wine lovers who are in London. Two wine fairs focused on “natural wine” at the same time; RAW and The Real Wine fair. Unfortunately, I am not among the lucky ones. So, what to do? No reason to be depressed for that. Make something positive about having to stay at home. I have an idea. Why not organise a little wine fair on my own? 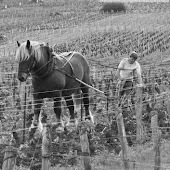 Select some of my favourite organic or biodynamic producers. Perhaps season with some new acquaintances. Of course, Alsace must be represented. Domaine Marcel Deiss will be my Alsatian choice. From Burgundy Domaine de la Vougeraie. And from Beaujolais my new darling Jean-Paul Brun. The charming Johan Reyneke from Stellenbosch in South Africa would be the first pick from the New World. 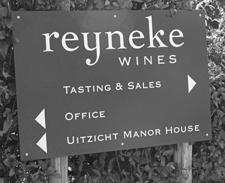 The Reyneke biodynamic wines are so beautiful. And the ones from New Zealand’s Millton Vineyards & Winery as well. They will be the next entry. From Georgia I will invite Pheasant’s Tears for their wonderful qvevri-wines. I have not yet met the wines from Foradori in Italy, so that will be the first of the new acquaintances. Elisabetta Foradori, who uses clay amphoras in her winemaking. The Eyrie Vineyards from Oregon, USA, will be the second. Would be interesting to taste their Pinot Noir together with the ones from Domaine de la Vougeraie. That was the wines. But a good fair also needs some seminars. We are many who always want to learn something new. I like Alice Feiring and Jamie Goode. They will however both be in London to speak. Of course, there is a solution to this little problem too. Their books are here. I can choose some good parts to be read aloud. That will be a good enough seminar substitute. The first one: Grape ripeness and alcohol. A very interesting topic, which Goode and Sam Harrop knowledgeable discuss in “Authentic Wine; toward natural and sustainable winemaking”. 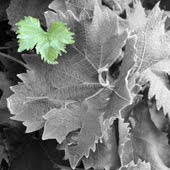 Too ripe grapes imply a loss of authenticity and grape characteristic and terroir are lost. The second one I choose from Feirings “The Battle for wine and love”. As I am big fan of the Syrah from northern Rhône, a piece from that chapter will be an entertaining finish on the seminar part. Now I am looking forward to Sunday. Just have to call my wine loving friends to join me. Why not choose a wine of quality?